Okay, what exactly is a colon cleanse? When we use the term ‘colon cleanse,’ we’re not talking about colonics or hydrotherapy or introducing some foreign, cold object into your personal space. 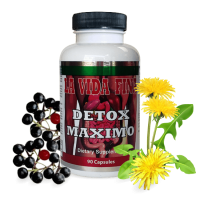 If you’re curious, you can read about some of those detox methods, but we really care about natural detoxing. A colon cleanse is the process of purging your body of build-up, junk, and poor dietary decisions from your body. It was first referenced on Egyptian papyri in the 14th century B.C. and largely referred to enemas. Herodotus noted a bit later the Egyptians’ pattern of cleansing themselves frequently because they saw a correlation between their health and the alleged toxins of their diet. Even millennia ago, people have noticed that there’s junk in our bodies that needs to go. Unless you’re wholly unlike the rest of us humans, the need for a detox will never leave; and unless both our diets and the sources of our foods become pure and untainted, our bodies will accrete stuff that wasn’t supposed to be there in the first place. How does colon cleansing affect the skin? A colon cleanse will help your skin incredibly, but if you’re not drinking water you are going to lose the battle. It doesn’t matter what products you take or procedures you have done, you need to hydrate. No questions. Up to 60% of our human bodies are composed of water. Seriously. And since your skin, I’m sure you know, is the largest organ on your body and contains roughly 64% water, you can’t achieve healthy skin by addressing only 40% of the problem. This is why it’s crucial to understand the composition of the skin. The human skin is composed mainly of two layers: the dermis and the epidermis. The dermis, a unified cell agglomerate of fibroblasts supported by a collagen network, is beneath the epidermis (epi- being a prefix for “above”), a structure formed of keratinocytes that form a barrier to direct external elements. When the skin is not sated with the proper nutrients that make up its composition, such as macronutrients (lipids, proteins, and carbohydrates) and micronutrients (vitamins and essential minerals), it can be vulnerable to bacteria that can easily upset its natural makeup. Notably, because the skin has rather low permeability (meaning some substances can pass through it, but as a whole its rather impassable), most inorganic nanosized particles cannot penetrate the epidermis; but some can. Since the skin is indeed permeable, humans are able to use topical applications to directly affect the health of the skin (like acne ointments). But topical applications can only do so much, and they can be both expensive and deleterious to your health. It’s better to tackle healthy skin from the inside out, and let your skin guard itself from the outside in. Below we’ll talk about some of the most vital natural ingredients that aid your skin in promoting health internally and externally. 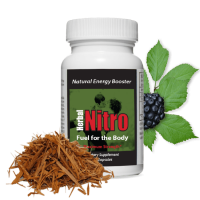 For more information, read about all the botanical ingredients. Senna leaf: An herbal laxative that greatly increases the peristaltic (or push) action of your colon. Its sennosides aid in relieving constipation. Cascara Sagrada: A botanical laxative that helps in favorable changes in absorption, secretion, and motility in the colon; is known to soften the stool for gentle movements. Dandelion: With its naturally high phenolic content, Dandelion has botanical antioxidant activities that help with digestive problems. Artichoke: This thistle has both antioxidant benefits and choleretic and diuretic activities, which makes it a supreme herbal ingredient for detoxing. Milk Thistle: Also known as silymarin, Milk Thistle is potent in its liver-targeting activities and its aid in immune and inflammatory responses. Sarsaparilla: Sarsaparilla root is known to detoxify, clear heat, and relieve dampness; it also has high phenolic content, which makes it an excellent antioxidant. Fennel: Fennel has been used as natural medicine for digestive, endocrine, reproductive, and respiratory systems, and has a notable antioxidant capacity. Aloe Vera: Aloe Vera has been considered a global panacea, but in modern use is a soothing agent helpful for a gentle aid in constipation. Using natural ingredients as a solution to healthy skin is the best, safest way for your body. Instead of imbibing chemicals or applying laboratory ointments, use what nature already provides. The ingredients we’ve curated aren’t arbitrary: it’s what is in them we look for when creating an herbal formula. Skin cells naturally produce highly reactive molecules in the oxidation process, whether it’s from basic cellular respiration or external aggressions; these are commonly called free radicals. Oral antioxidants such as herbal ingredients can not only intervene naturally in the oxidative processes in your body, but can also assist dermatologists in assessing skin health issues if one consults a specialist. Phenol is a class of organic compounds that, when occurring naturally in medicinal herbs and dietary plants, has a wealth of healthy bioactivities. Plant sources of rich phenolic content, or phytophenolic sources, can act as antioxidants by donating electrons produced by stress, thereby scavenging harmful oxidants and protecting the skin. Inflammation can be a good thing: the natural response of your body to build a barricade against harmful bacteria; but it can also lead to unsightly ailments when the inflammation is dysregulated, like acne, rosacea, psoriasis, etc. Herbal ingredients that aid in anti-inflammation–much like prescriptive corticosteroids, but natural–help reduce your body’s response to inflammation and promote healthier skin, especially externally. 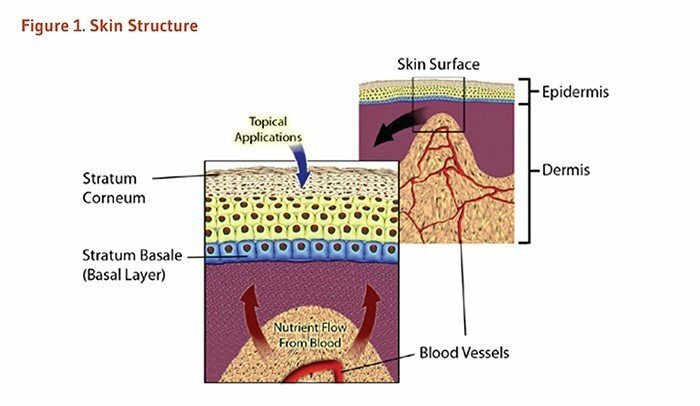 The skin, because of its epithelial structure (a sheet of cells lining most body surfaces), is adept at absorption and secretion of various molecules. When the body suffers from intestinal malabsorption, it can’t receive enough nutrients from food and liquid; the skin, unsurprisingly, has a strong correlation between its health and the absorption/secretion of the body’s intestines. Some of these ingredients are more active in the detoxing of your body, such as Senna and Cascara Sagrada with their affect on the peristaltic action of the colon, while others attribute to a more holistic formula, and make the process of detoxing your body both gentler and more soothing to the skin. We’ve all chased some type of ‘miracle worker’ for the skin, like a high-cost and abrasive prescription that totally rends our face: which turns us into Jason for a week, month, or even years. That’s why we only advise natural colon cleansing methods. Not everyone is able (or willing!) to consult a dermatologist for his or her skin health. The good thing is that you may not have to. Here are several ways you can promote healthy skin when and in conjunction with a natural colon cleanse. If we sound like a broken record, that’s good: water is the most important factor for healthy skin. Your body lives off water and is reliant upon it for optimal (and basic) functions. Sometimes, though, it’s hard to get those 8 x 8 ounces in each day. We have realized that when you know you have a lot of water with you, you tend to drink more. It’s this hidden ratio mentality: no matter how much water you have, you drink to make it last. Bring large volumes of water with you so you drink more throughout the day. Watch for liquid calories in your drinks, especially in coffee. Since the skin is the largest organ on the body, any malnutrition or lack can invade its health at a major level. It’s important for healthy skin to get Vitamin D–easily achieved by being out in the sunlight. Your body converts the ultraviolet-B radiation into Vitamin D3, which can lead to decreased DNA damage, reduced apoptosis, increased cell survival, and decreased erythemad for your skin. Carve out roughly 5-30 minutes of sunlight, twice a week, for sufficient Vitamin D for your skin. This may not be self-explanatory to all; and it’s not just recommended in the morning or night when showering. During our day, whether physically rigorous or sedate, the skin’s sebaceous glands secrete an oily, waxy matter called sebum that blocks our pours. It’s not just for acne: any sebum-clogged follicles on your skin can manifest as blackheads or unsightly blemishes. Wash your skin and face before long periods of inactivity (like sleep), especially if you are physically active and sweaty. It is getting easier and easier to ingest chemically-infused foods, especially from fast-food or just over-processed foods in the market. Our skin was not intended to benefit from unnatural substances, and like an oiled cog in a machine your skin functions better with sufficient water and organic nutrients. Find ways to incorporate into your diet natural ingredients that promote skin health. See above. If you’re looking for an excellent, natural way to kick-start your colon cleanse and pave your way toward healthier skin, choose a gentle colon cleanse or a two-in-one detox duo as an introduction to natural colon cleansing. If you are experiencing chronic skin issues, we highly recommend you consult a certified dermatologist. Herbal cleanse formulas can promote skin health and ameliorate minor symptoms but are not the solution to serious skin ailments.